Elvis Presley was called “the King of Rock and Roll.” His life and music transformed society in ways that are still felt to this day. With honesty, integrity, simplicity, and humor, What Every Child Needs To Know About Elvis Presley explains this pop icon to young children, helping them to understand the modern world and, more importantly, the adults in their lives. 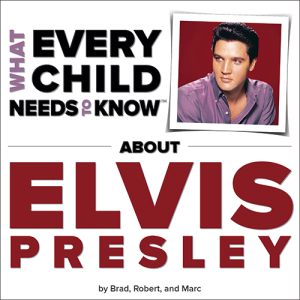 Written by three dads – a child expert, a healthcare analyst, and a veteran of the children’s publishing world – What Every Child Needs To Know About Elvis Presley is the book all true music lovers will want for their young children.